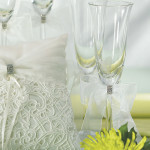 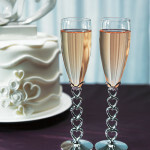 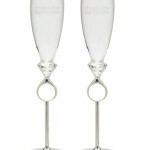 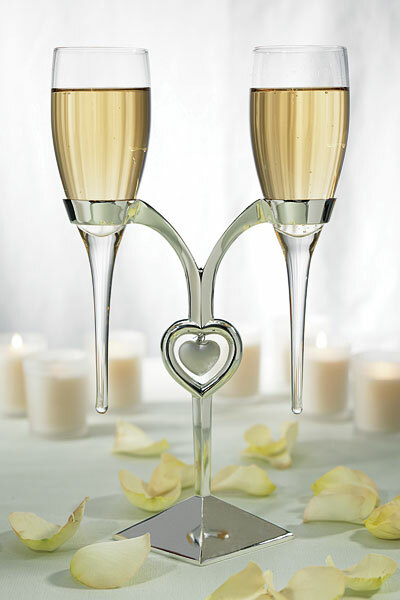 Delicate flutes rest in a silver plated stand. 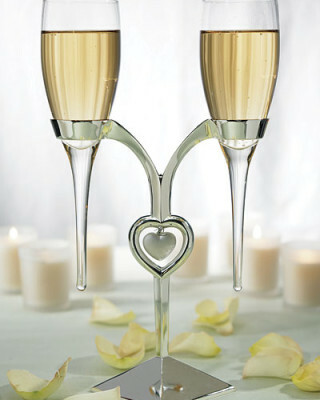 The stand features a heart detail with a suspended heart. 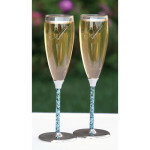 Glass portion of flute suitable for engraving.